To request permission for any of the uses on the above “We do not allow” list, please contact Jeff. By posting on this blog, you agree to the policies below. We welcome comments on our blog posts. Please keep your comments clean and related to the content. We reserve the right to moderate/remove any comment. Feel free to ask questions, disagree, provide alternate methods, or comment on the post as long as your comment’s content is not offensive, defamatory, abusive, or otherwise mean and inappropriate. Comment Privacy You may comment anonymously or under a name/username. The email address you use to submit a comment will not be displayed on our site and will not be sold or used to contact you unless you request to be contacted. Disqus is the comment platform. These privacy settings are in addition to their privacy rules. Ownership of Comment You retain ownership of comments you leave on our site; you simply grant us a license to post your comments. This license is irrevocable, non-exclusive, worldwide, and royalty-free. You grant us the right to store, transmit, display, use, publish, reproduce, and distribute your comments in any format, including but not limited to a blog, in a book, in a presentation, in a class, or in a video. We expressly disclaim any and all liability that may result from any comment you leave on this site. By commenting on this site, you agree that you retain all ownership rights for the comments you post on this site and that you will relieve us from any and all liability that may result from those postings. 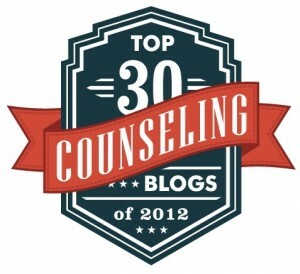 You can visit the website of The Counseling Geek without revealing any personal information. The Counseling Geek does use website analytics to track usage of the site, but no personally identifying information is included in that data. The Counseling Geek automatically receives and records non-personal information on our server logs from your browser including your IP address, cookie information and the page you requested. The Counseling Geek may use this information to customize the advertising and content you see and to fulfill your requests for certain products and services. However, The Counseling Geek does not connect this non-personal data to any personal information collected from you. We need to protect the personal safety of the users of our websites or defend the rights or property of TheCounselingGeek.com. If you do not consent to the collection, use or disclosure of your personal information as outlined in this policy, please do not provide any personal information to The Counseling Geek. If you have provided personal information to The Counseling Geek and no longer consent to its use or disclosure as outlined herein, please notify The Counseling Geek at thegeek@thecounselinggeek.com. Unfortunately, no data transmission over the Internet can be considered 100% secure. However, your The Counseling Geek information is protected for your privacy and security. The Counseling Geek may at any time, without notice to you and in its sole discretion, amend this policy from time to time. Please review this policy periodically. Your continued use of The Counseling Geek’s websites after any such amendments signifies your acceptance thereof.